Order within 20hrs 23mins for delivery Monday 22 April using next day delivery at checkout. 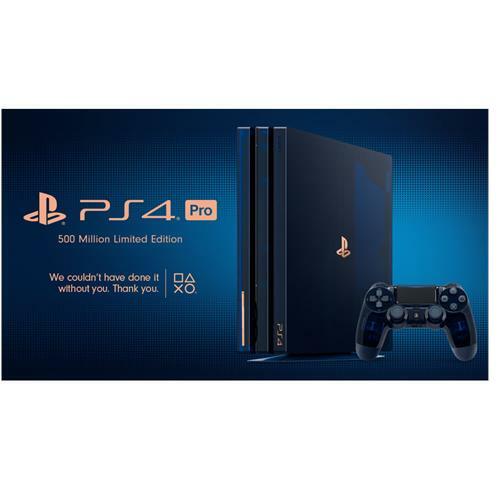 Introducing the PlayStation®4 Pro 500 Million Limited Edition. Celebrating a milestone in PlayStation® history made possible by the players. 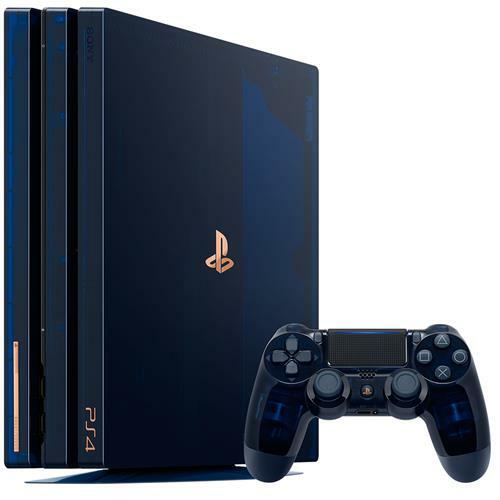 Limited to 50,000 units globally, the dark blue translucent PS4™Pro features a 2TB HDD and a commemorative copper plate displaying its unique serial number. In the translucent collectors box you’ll also find a matching DUALSHOCK®4 wireless controller, PlayStation®Camera, Vertical Stand and mono headset. Here’s to the next 500 million adventures. We couldn’t have got here without you. 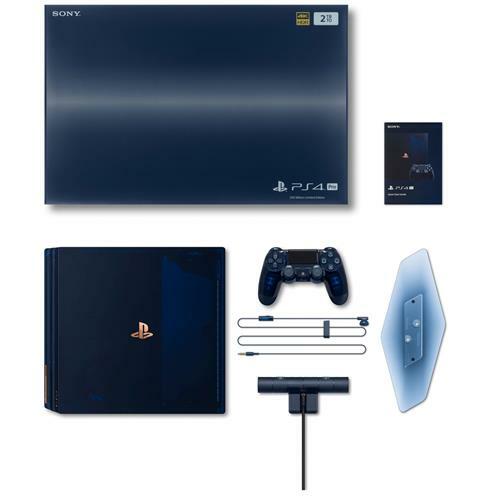 Translucent Design – Celebrate 500 Million PlayStation® systems sold with this Limited Edition dark blue translucent design. Power on the console to glimpse into its super-charged illuminated interior. 2TB Hard Drive – This extra-large hard drive provides plenty of space for you to store and play some of the biggest blockbuster games in 4K HDR*. DUALSHOCK®4 – Also available separately, this limited edition wireless controller features a matching stylish translucent design finished with a copper PS symbol. 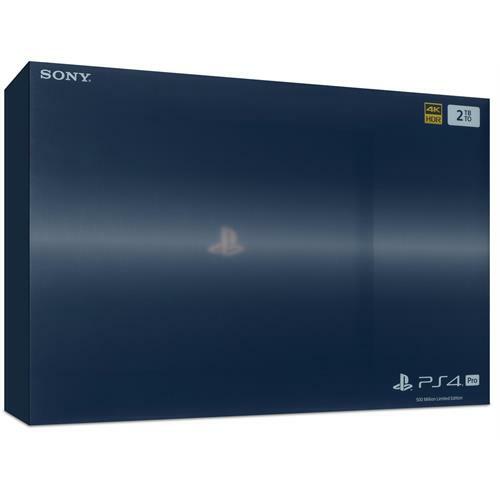 PlayStation®Camera – Unlock incredible PlayStation®VR adventures and extra PS4™ features with the included special dark blue PS Camera and stand. Vertical Stand – Display the stunning console upright with the included matching dark blue translucent stand.